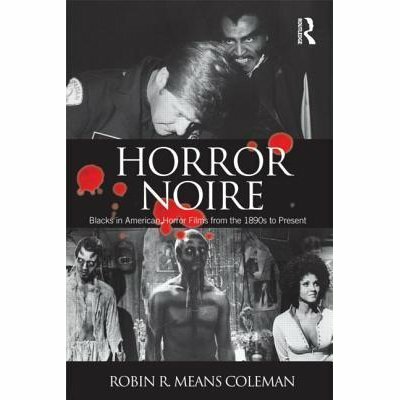 ‘Horror Noire’ Author Robin R. Means Coleman: The Horror News Network WiHM Interview - Horror News Network - The Horror News You Need! HNN: In Horror Noire, you make a clear distinction between the terms “Blacks in Horror” and “Black Horror”. Can you explain to readers how you define these terms when applied to horror films? Means Coleman: They both deal with race, but in different sociopolitical ways. I define the term “Blacks in Horror”, as a type of film that includes Black actors in roles that are significant in the film, but those roles are usually stereotypical in nature. In “Black Horror”, the creators are Black Directors, writers, etc. who are engaging in important themes in their films that deal with race in complicated and thoughtful ways through a Black lens. This is not to say that “Blacks in Horror” films can not also deal with topics of race in a meaningful way however. 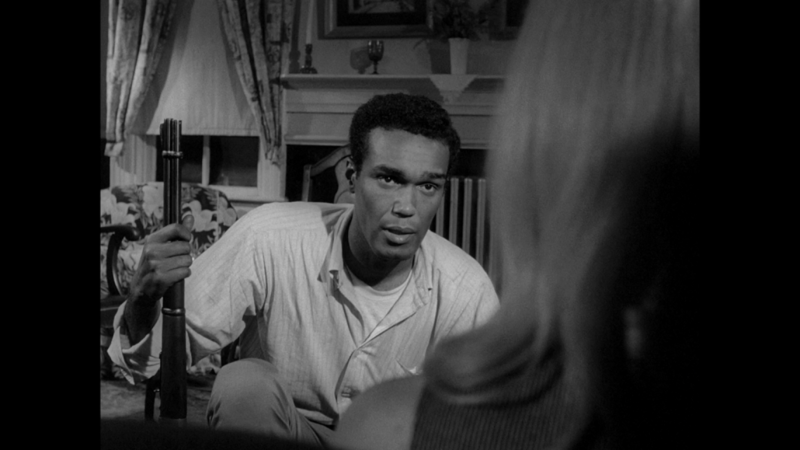 Romero always downplayed the casting of Duane Jones as the lead character in Night of the Living Dead, but it is clear that Romero was doing so to make a statement about the politics during that time period. This was a move that impacted culture and history and was as powerful as any “Black Horror” film in the way that it commented on race. In many of Jordan Peele’s interviews about Get Out, he often compared his film to Rosemary’s Baby, but he rarely mentioned Night of The Living Dead. It is clear to anyone who has seen both films that Get Out is a direct response to Night, particularly the ending, and the influence of Night of the Living Dead permeates his film. 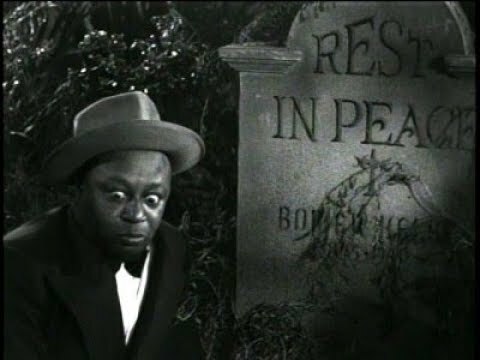 HNN: One of the forgotten time periods when it comes to Black participation in the history of horror films is the 1940s. This is one of the first time that we see Black actors in horror films correct? Means Coleman: Yes, this is a clearly defined period of “Blacks in Horror” and they are mainly in horror comedies. They are always there to provide comic relief and lighten the scare and they are fairly typical in their portrayal of Blacks during this time period. This is also the time period when Haiti and “Black religions” come under attack in horror films, providing the basis for many films of the era. The so called “wicked religions” are displayed as a force that is viral and infectious and of course, needs to be controlled or destroyed. These messages also aligned neatly with the occupation of Haiti in this time period. HNN: Is the “Blaxploitation” era of the 1970s the first time that we start to see “Black Horror”? Means Coleman: Yes, it is the start of the FUBU ethic in “Black Horror” which means “For Us, By Us”. This is the first time that we see black directors, writers, and actors producing films for a Black audience. 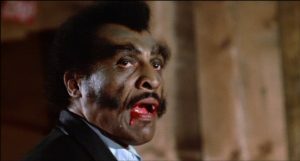 One of the most influential of the time period is certainly Blacula which was directed by William Crain and starred William Marshall as the count. The film clearly indites racism and explores topics such as The Middle Passage and urban racism as well. William Marshall obviously had a lot to do with the film’s success as his classical training and the dignity and strength he brought to the role resonated with audiences of the day. His performance is far removed from the bug-eyed tradition of the films from the 1940s. HNN: After the excitement generated by the horror films of the 1970s, the 1980s are a step backward for “Black Horror” correct? Means Coleman: The 1980s were a time of a great wealth divide, police brutality, and a fractured society. We also start to see the disappearance of the Black Family in the ’80s. Very few Black actors or directors in this era are able to share their voices as they did a decade earlier. In the film Vamp, which stars Grace Jones, she never even speaks on screen. This was definitely a step back, especially with the emergence of the “final girl” character who audiences accepted as a resourceful, intelligent woman in many of these horror films, yet we do not see these traits applied to Black women or men for that matter in the 1980s. 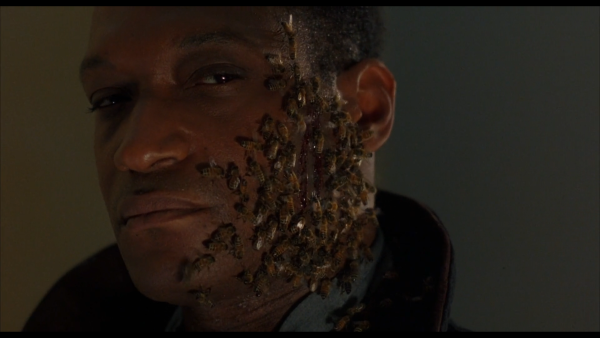 HNN: One of the films that you find very interesting when it comes to critical analysis is 1992’s Candyman starring Tony Todd in the title role. Means Coleman: Candyman is a film that is essentially about “Home”. It is a film about place and space, urban and suburban. The story, based on Clive Barker’s short story “The Forbidden”, focuses on the death of Daniel Robitaille, a prosperous son of a slave, at the hands of a lynch mob. Yet when he becomes a ghost, he only haunts the Black housing projects of Cabrini-Green. He never ventures to the other side of town. In fact the only time that he “crosses the tracks” to the affluent White section is when he goes there to kill Helen’s friend, who also happens to be Black. This reiterates the idea that even ghosts are not supposed to cross the color line. HNN: Since the publication of your book, Jordan Peele released Get Out to great critical and financial success. What did you make of Peele’s film? Means Robinson: It was very heartening to see his film and I found it to be a powerful take on Richard Benjamin’s idea of the “Whitopia”. In the Obama era, it was difficult to understand how to talk about race, but Get Out does this. The film’s focus on cultural appropriation and topics such as who has the right to say the “n-word” were timely in a post-Obama world. The major take-away from the film was that even in Liberalism, there can be enslavement. HNN: You are not only interested in looking at horror through a critical lens, but also other aspects of pop culture. What are our thoughts about the imminent release of Black Panther? Means Robinson: I am very excited about it. I have heard some people say “well, it is still a Disney film” but when you look at Black Panther, it has a primarily Black cast, a young Black director in Ryan Coogler who has a proven track record with Creed and Fruitvale Station, and the center of the narrative is about Africa as a intellectual, technological, and wealthy nation. It is definitely coming out at the the right time. It will be interesting to see how the nation of Wakanda dispels the stereotypes of films such as Coming to America, whose fictional nation of Zamunda is an odd presentation of wealth and prosperity and still very traditional, as Eddie Murphy’s Prince Akeem is in America to find a wife. Black Panther has a distinct opportunity to correct the narrative in this regard. And as Wesley Snipes has said, let’s not forget about Blade. His film also presented a confident hero and broke through barriers. I am personally hoping for a M.A.N.T.I.S. remake. That character deserves a second chance! 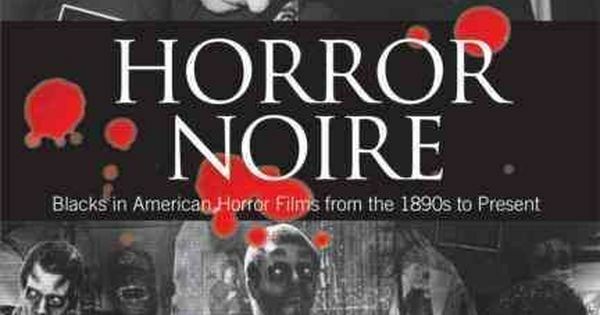 Horror Noire is currently available from Routledge and Amazon.